The DiscJockey, presenter, singer and lyricist was born on November 17, 1920 in Tétange, Luxembourg. After elementary school and high school, the later darling of the public worked as a teacher, interpreter and newspaper reporter, he studied singing, opera and acting in Brussels and Liège. In 1951 he was news anchor and recorded his first record, Bonjour mes amis. On April 6, 1958 Felgen's career began at Radio Luxembourg. Over the years, he developed and presented successful programmes such as the Hit Parade (until 1963), Die Großen Acht, Wunschkonzert and many others, which he turned into radio favourites in a charming and knowledgeable manner and thus helped his station to enormous popularity. 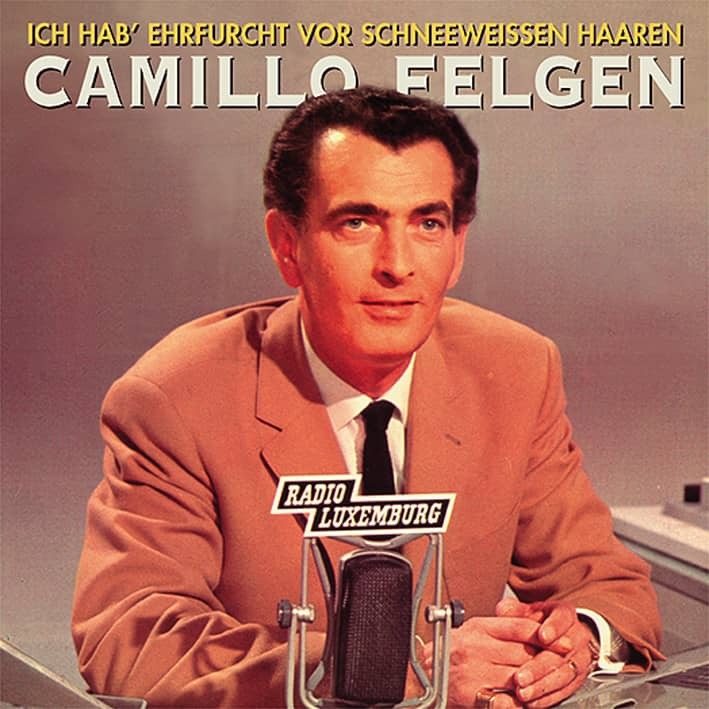 After records like Ich heirate Papi Camillo landed his first hit in Germany in 1959, Say why, which in 1964 still I ordered the luck for tonight and tonight comes love followed. In between were two participations in the Eurovision Grand Prix for Luxembourg: in 1960 he only finished 13th with So laang we's du do bast, for Petit bonhomme it was better in 1962 (3rd place). In the same year he recorded the original instrumental Tornados world hit Telstar with vocals: Sometime a new day awakes. A legendary meeting took place in Paris in 1964. There, Felgen met the Beatles, who recorded their two German titles She Loves You and Come, Give Me Your Hand. The lyrics came from a'Jean Nicolas' - behind this pseudonym Camillo Felgen was hiding. He has also worked as a copywriter for colleagues such as Peter Alexander (I count my worries every day), Connie Francis (beautiful stranger), the Everly Brothers (When you kiss me), Ralf Paulsen (Bonanza) and many others. From 1965 he was engaged by television as a presenter for the popular city competition'Spiel ohne Grenzen' (125 episodes). In 1968 Felgen left Radio Luxembourg, for which he had also developed the award of the'Golden Lions' and from then on worked freely - Frank'Tim' Elstner, who he discovered and promoted, became his successor. 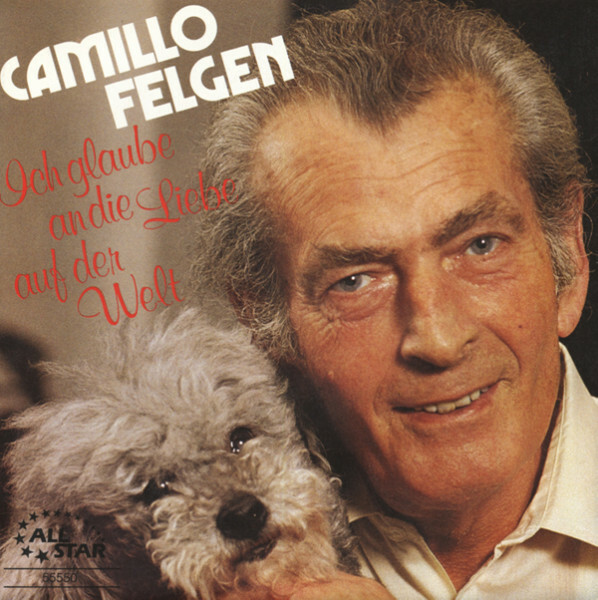 In 1973 Camillo succeeded with Ich hab Ehrfurcht vor schneeweißßen Haaren one of the most emotional German evergreens - a song for his mother. Although he had long since retired from the front row, he moderated rims into old age now and then, was a guest at radio and television specials. In 1986 he married his third wife Marianna, with whom he also ran a boutique for ball gowns in Luxembourg. On July 16, 2005 the versatile, highly creative and likeable radio man died in Esch/Alzette. His name will always be inextricably linked to the success story of Radio Luxemburg. Customer evaluation for "Ich glaube an die Liebe der Welt b-w Heut' ist der erste Tag vom Rest... 7inch, 45rpm, PS"